Sodium: An important dietary element that the body needs to function. But too much of the chemical can potentially be deadly. 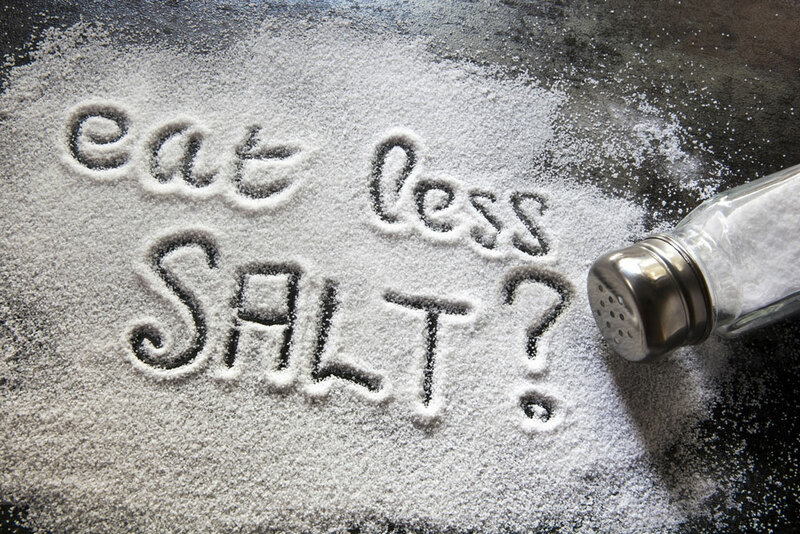 Given current diet trends, a significant majority of Americans consume too much sodium from their food, contributing to an overall increase in cardiovascular disease and poor kidney function. But soon, a new drug may be able to solve this growing problem – by lowering an individual’s salt absorption without affecting his or her diet. The medication could potentially help the millions of Americans who suffer from chronic kidney disease (CKD) and hypertension, but who have a hard time adhering to a low-sodium diet. Developed by researchers at drug manufacturer Ardelyx, the drug, tenapanor, works by blocking a membrane transporter called NH3, which is responsible for most of the reuptake of sodium in the body. By inhibiting this protein, the majority of sodium is prevented from seeping into the bloodstream and instead remains in the gut. According to Charmot, current medications to control sodium include diuretics and antihypertensive drugs, which either increase water excretion or control high blood pressure. However, these drugs require patients to adhere to a diet very low in sodium – a feat that can be difficult given the high prevalence of the chemical in typical American diets. But since tenapanor remains in the gut, the drug can remove the sodium while patients continue to eat their normal diet. To test the effectiveness of tenapanor, Charmot and lead study author Andrew Spencer, senior director for research and development at Ardelyx, administered the drug to rats that had fractions of their kidneys removed, in order to emulate patients with CKD. They also continued feeding the rats a high-sodium diet to see how it interfered with the drug’s success. “What we’ve shown in this rat model is it protects against hypertension and hypertrophy (an increase in volume) of the heart; and it protects against further damage of the kidney, which is shown by the presence of protein in the urine,” Charmot said. Additionally, tenapanor was given to patients with CKD in a phase 1 proof of concept study. After taking the medication, patients showed an increase of sodium in their stools and no presence of the drug was detected in their bloodstreams – proving the drug adhered to its design and function. Charmot and his team hope that their drug will benefit many in the United States, especially given Americans’ widespread consumption of sodium on a daily basis. The U.S. Dietary Guidelines recommend people should limit their sodium to less than 2,300 milligrams a day, but the Centers for Disease Control and Prevention (CDC) estimates that the average American eats more than 3,300 milligrams daily. In fact, the CDC found that more than 90 percent of Americans over the age of 2 eat too much sodium. Experts believe these dietary trends have contributed to the rising incidence of chronic diseases in the United States. The CDC states that 26 million Americans suffer from CKD and approximately 67 million people have high blood pressure – equating to 1 in 3 U.S. citizens. And the sodium-related health problems don’t simply stop there, according to Charmot. Because of sodium’s potential to contribute to so many diseases, the researchers believe tenapanor can help many individuals stay healthy while enjoying a normal dietary routine. The research on tenapanor was published online in the journal Science. Though cardiovascular disease is the leading cause of death, there are ways by which you can significantly reduce the risk. Judith Mackall, MD, Cardiologist at University Hospitals (UH) Case Medical Centre in Cleveland, Ohio, offers three tips to help reduce risk of heart diseases. 1. Exercise: Thirty minutes of moderate exercise every day can have a big impact on heart health. If 30 minutes is too much time to dedicate, then divide it into ten minutes and exercise thrice a day. Within ten weeks your cholesterol numbers will improve, blood pressure will come down and you will lose a few pounds. Just running a few miles can help improve cardiovascular fitness by increasing the flexibility of the coronary arteries. 2. Eat healthy: Eat a healthy, balanced diet. Remember the “Five Rule”, i.e. 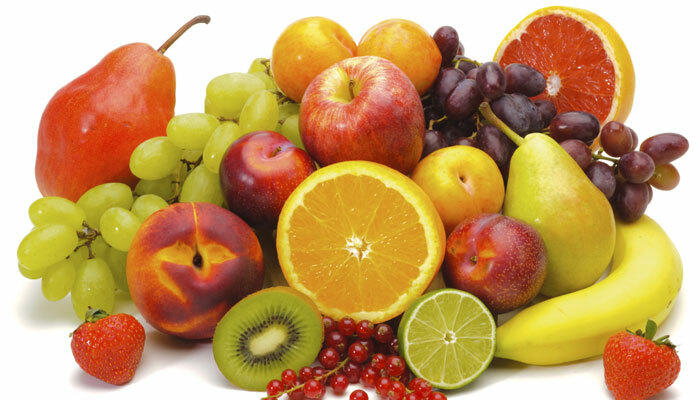 consume at least five fruits and vegetables every day as part of a balanced diet. This helps manage blood pressure and decrease inflammation in the body, preventing risk of cardiovascular disease. Replace saturated fats with mono or polyunsaturated fats and reduce salt intake to ensure blood pressure and cholesterol levels remain in healthy ranges. 3. Quit smoking: If you are a heavy smoker or even a social smoker, it’s time to call it quits. Smoking knocks off seven years of your life. And, if you have cardiovascular disease and you smoke, you’ll die 15 years sooner than you would otherwise, Dr Mackall adds. A new study is warning that America’s love affair with sugary food and drink is also doubling our risk of a heart-related premature death. While previous research has indicated that consumption of added sugars can negatively affect health, the new study — published in JAMA Internal Medicine — is the first nationally-representative study examining how added sugars affect rates of death from cardiovascular disease (CVD). Unlike the natural sugars existing in fruits and some vegetables, added sugars are introduced to foods during their processing and preparation. 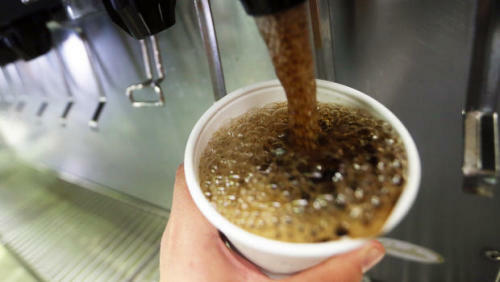 Sugar-sweetened beverages like soda are the leading source of added sugar consumption in the U.S., followed by grain-based desserts, like cookies and cake. For their research, study author Quanhe Yang, of the Centers for Disease Control and Prevention, and his colleagues used national health survey data to examine how added sugar consumption affected rates of cardiovascular death among the population. They divided the population into segments: those who consumed the least amount of added sugars – less than 10 percent of daily calories consumed – and those who consumed at least 25 percent of their daily calories from added sugar. Overall, they found that people who consumed the highest amounts of added sugars were more than twice as likely to die from cardiovascular disease. Though previous studies had indicated that consumption of added sugars was harmful to health, the researchers hadn’t expected to see such a large increase in risk of death between the highest- and lowest-consuming groups. Previous research has indicated that between 2005 and 2010, 10 percent of U.S. adults consumed 25 percent or more of their daily calories from added sugars. While recommended levels of added sugar intake vary, the CDC adheres to the 2010 Dietary Guidelines for Americans, which recommends limiting added sugar intake to 5 to 15 percent of daily total calories. It’s still not fully understood why added sugars increases risk of CVD. Next, Yang and his colleagues hope to study how the risk of cardiovascular death changes among people who have made efforts to improve their eating habits, including lowering consumption of added sugars. They are also interested in studying the effects of added sugar consumption among children – and how that affects their risk of death and disease later in life. Overall, Yang said he hopes people will start to pay more attention to the amount of added sugars in their diet. A new method to calculate the risk of heart diseases has been provided by the a study conducted by the National Heart Institute. The Framingham Heart Study was started in 1948 to learn more about heart diseases and strokes and determine the common risk factors for cardiovascular disease, Fox News reported. The long-term study has determined key risk factors that can increase a person’s chance of experiencing heart disease or a heart attack over their lifetime, which will help people in adopting lifestyle changes and treatments. New studies have shown that when children increase their level of physical activity, they experience positive health benefits, which include less body fat, increased muscular strength and reduced risk factors for major diseases like diabetes, cardiovascular disease and other metabolic and lifestyle-related disorders, quickly. The studies were conducted in a lab led by David Nieman,Dr.P.H., FACSM, a professor of health and exercise science in Appalachian’s College of Health Sciences. In the study, 200 obese Chinese children were split into two groups. One group took part in a summer camp where they exercised three hours in the morning and three hours in the afternoon doing a number of activities that included swimming, running, cycling and ping pong. The second group continued with their normal lives. Both groups maintained a caloric intake of 1,600 to 2,000 calories a day. The average child in the summer camp lost six to eight kilograms or 13 to 17 pounds. In another study conducted as part of the BioMoto STEM Initiative, Nieman’s laboratory tested seventh and eighth graders from the greater Charlotte area using a sophisticated battery of physical fitness tests. They found a key concern for these youth is their body fat levels. The study is published in journal of Sport and Health Science. Whether you have it as a snack, add it to your dish for a sweet and tangy flavour or just squeeze it to make a glass of fresh juice – oranges are one of the most popular fruits around the world power packed with immense health benefits. A rich source of Vitamin C and packed with antioxidants, flavonoids and dietary fibre this citrus fruit is said to have anti-inflammatory, anti-tumour and anti-oxidant properties. Boost immunity: Just one orange supplies 116.2% of the daily value for vitamin C. Vitamin C, is vital for the healthy functioning of the immune system. 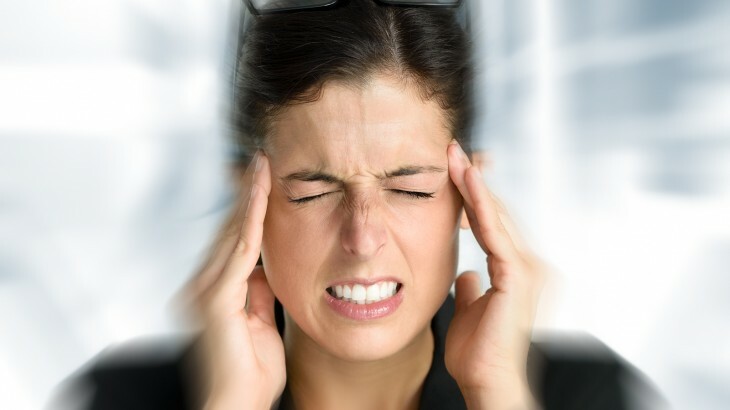 It also helps prevent colds and recurrent ear infections. Prevents cancer: Vitamin C, a primary water-soluble antioxidant protects the cells from damages by free radicals reducing risk of cancer. The fibre in oranges can grab cancer-causing chemicals and keep them away from cells of the colon, providing yet another line of protection from colon cancer. Beta-cryptoxanthin, an orange-red carotenoid may significantly lower risk of developing lung cancer. Lowers cardiovascular disease risk: Folate, also known as vitamin B9, helps lower levels of homocysteine- an amino acid produced by the body – high levels of which can cause hardening and narrowing of the arteries, heart attack, stroke and blood clot formation. The potassium in oranges helps lower blood pressure, protecting against stroke and cardiac arrhythmias; and the vitamin C, carotenoids and flavonoids have been identified as having protective cardiovascular effects. Iron and Vitamin B6 in oranges help in the production of haemoglobin and increase the oxygen carrying capacity. Prevents stomach ulcers: Oranges are a very good source of fibre which helps keep your stomach and intestines healthy. A diet rich in fibre helps stimulating digestive juices and helps prevent constipation and stomach ulcers. Great for diabetics: A single orange provides 12.5% of the daily value for fibre and has a high glycaemic index which makes it a good food option for diabetics. Fibre helps to keep blood sugar levels under control. In addition, the natural fruit sugar in oranges, fructose, can help to keep blood sugar levels from rising too high after eating. 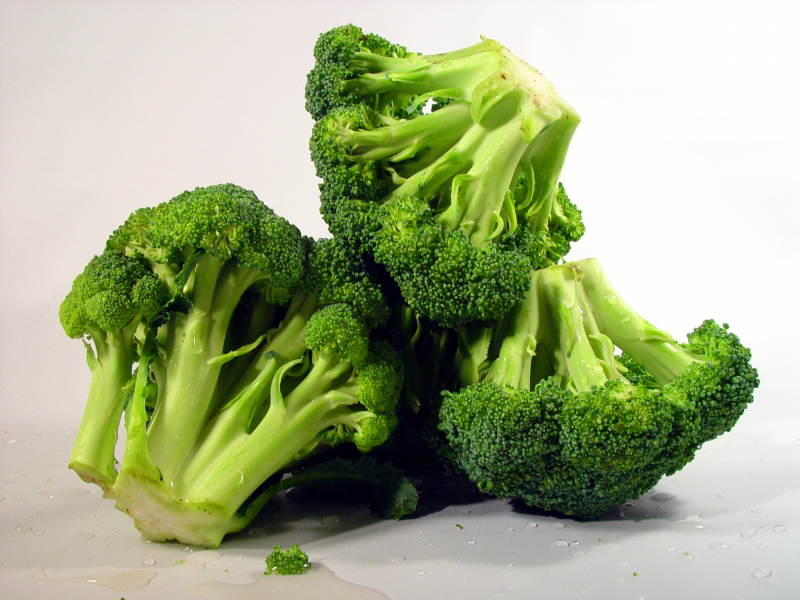 Scientists hope that the harvesting of what they call ”booster broccoli” — containing more vitamins and nutrients than other vegetables — will soon begin. Bred from strains of the vegetable naturally high in antioxidants, it joins a growing crop of ”super foods” that are believed to be good enough to prevent heart disease, cancers and degenerative diseases like Alzheimer’s and help weight control. Vital Vegetables chairman John says that capsicums with extra vitamins A, C and E levels, and tomatoes that can reduce risks of prostate cancer will be released in the next 12 months. According to him, supermarkets will soon stock foods ‘boasting higher levels of goodness’ for the time poor. ”Our lifestyles seem to get faster all the time. If you can get the recommended daily intake of fruits and vegetables through eating less, isn’t that kind of the way we are going in the world these days?” the ‘Age’ quoted him as saying. ”I think consumers are looking at things that are better for them. And here you’re going to get more bang for your bite,” he added. Two breakfast cereals with the potential to reduce the risk of colon and bowel cancers, heart disease, diabetes, stroke and to help control weight were released by the CSIRO last month. Dr Bruce Lee, director of the CSIRO’s Food Futures National Research Flagship, says that other super grains to be used in breads, biscuits and pasta can be released by 2012. ”You can take supplements or you can get people to eat a healthy diet, but often it is hard to get people to change their dietary habits. ”The beauty of these types of foods is that you can add the wholegrain into the food – you are not forcing consumers to change their diet to something else,” he says.